Don’t be fooled. It’s not as good as it looks. True or False: instant coffee is disgusting. It is as bitter as the Devil’s eyebrows and as foul as his horn trimmings. It is more profane than an episode of Jersey Shore and more loathsome than a can of Tecate full of slugs. If you answered true, I’m sorry, but you are incorrect. If you answered false. I’m sorry, but you are also incorrect. This was a trick question designed to make everyone fail. The correct answer is that some instant coffee is indeed a rank substance unfit for consumption by all things that breathe. Some, however, is just fine. For example, Nescafe, Nescafe Gold, and Starbucks Via are all brands of instant coffee that I would gladly give to my friends, family, and sundry. I am an instant coffee believer. Some people who term themselves true coffee lovers may scoff at the fact I dare drink the black dregs of coffee crystal solution as they believe it all to be equally unbearable, but this is simply not the case. I’ve learned this lesson the hard way, by drinking a brand called Ralphs Instant Crystals Coffee. It was purchased in what was later recognized as severe error by a person who thought, at the time, that all instant coffee would taste the same and that if instant must be purchased, it mattered not which brand he chose. Despite its low sticker price, Ralphs Instant Crystals Coffee has extracted a terrible toll on my life as I’ve drank it day after day, waiting for it to run out like the freaking lamp from the Hanukah story because then new coffee will finally be purchased with rejoicing. 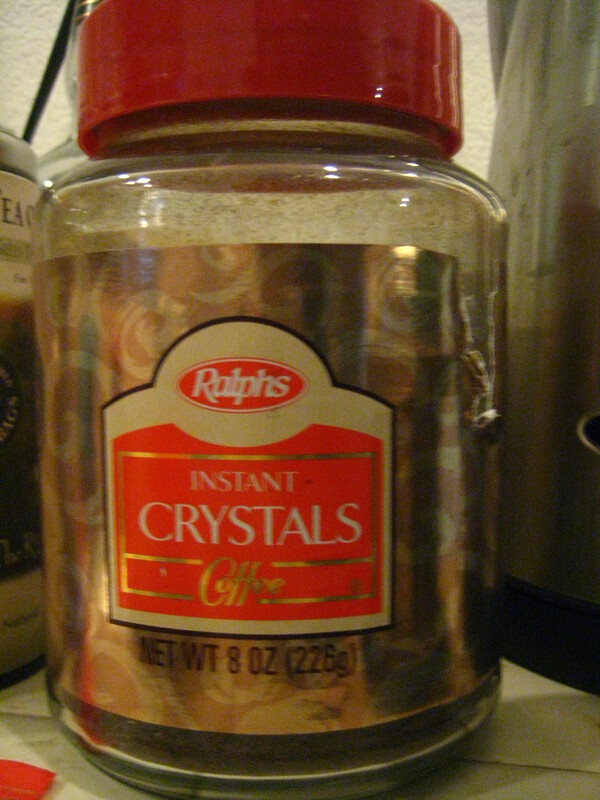 Its very name, “Ralphs Instant Crystals Coffee,” does not inspire any level of confidence, nor do the crystals themselves as they glitter in the jar like a pile of dead ants. And upon the first sip of an overly strong cup, one will immediately notice the desire to upchuck, or Ralph, welling up at the back of the throat. At that moment, the unfortunate coffee drinker will realize they are, in fact, drinking a cup of Ralph. Yes indeed. For the past month I have been drinking cups of Ralph every morning, knowing that even Folgers would be sweet relief. The day of reprieve cannot come soon enough. One day I will drink Ralph no longer. One day. But until then, the best part of waking up is finishing the Ralph in my cup. (1) Get the proportions of water to crystals just right. This is not easy, because the crystals are very concentrated. Takes practice. Hmm. I still hold that if you dump enough sugar substitute and creamer substitute into instant coffee, it’s really not that bad. You can barely even taste it! Don’t even get me started on “The bullet:” my high school concoction that was 3 tablespoons instant coffee, all creamer, and 4 splendas. LOL. I love it. I think it is totally marketable. Sad, sad day! Well… every day right now. Not all instant coffee is created equal (or regular coffee for that matter). Here’s hoping you survive the nausea that is Ralph and move on to the joy of delicious, dark brews. I’ve still got about half a jar left. Wish me luck! Well that is one way to discourage company. 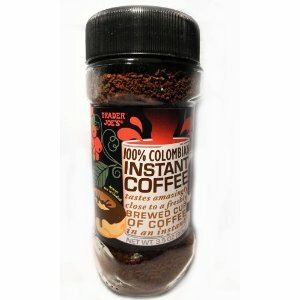 I am no fan of instant coffee. Drop the stuff all over the floor (oh my, how could i have done that! ), or if you don’t want to waste it, throw it on the garden for fertilizer. I’m afraid it’ll kill something wild. Via isn’t bad, it is quite potent (or I am not using enough water) but has an aftertaste. Plenty of half-n-half solves that. I do like Via, but if I’m spending that much money on coffee, I’m going for the ground stuff.